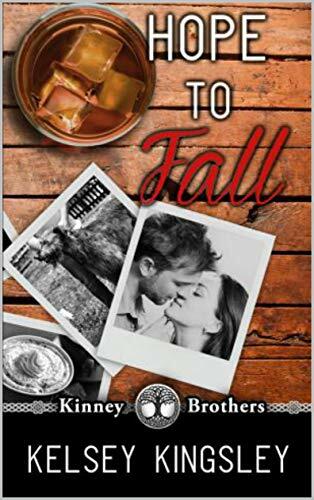 When Malachy suddenly finds himself with a woman he didn't know he wanted and a family he never knew he had, he begins to feel something he didn't think possible. Hope. One of my favorite book series continues on, with its latest installment proving that the best things come in fours! Malachy’s story was a bit of a surprise, eloquently written and masterfully portrayed. Given his past experiences and what he ends up finding when he reaches America, it was written honestly, no over-the-top overly emotional or melodramatic moments. His reactions and emotions fit perfectly into his character, which made me feel closer to him and want to know more about his story. Kingsley has a lovely way of creating characters who have flaws you fall in love with. Malachy is all thought, little emotion. He doesn’t want to become invested into anything that equates to an attachment, a defense mechanism he’s cultivated since childhood. You feel for him, yet you yearn for him to grow out of who he is, and the best thing of all? We get to see that, as a reader. But, there are plenty of highs and lows while he’s working on identifying who he really is, where he comes from, and whether forming connections is really worth it, or not. There is a love story here, not only in the romantic sense, but in the familial sense, too. Having come from a past where I’m not on the best of terms with some of my own family members, living or not, it was a relatable experience, making it easy for me to understand the walls that Malachy has built up around his life, his heart. This makes it harder for him to come terms with his future, and where he ultimately belongs. I enjoyed Malachy, the romance that blooms in his life, the unexpected shift in his world, one he never saw coming. I also appreciated getting to catch up with so many of my favorite characters from the other books in this series, even Daisies and Devin makes an appearance or two. Malachy is a much-needed voice in the town of River Canyon, the missing puzzle piece that makes the picture whole. Thanks to Kelsey Kingsley for the book in exchange for an honest review. Hope to Fall can be purchased here.